Our quiet and tranquil treatment clinic is on East Princes Street, Helensburgh and offers the ideal place to unwind, relax and de-stress. The treatment clinic is on the ground floor, with plenty of parking close by. The clinic has a far infrared heating system, including a large ceiling mounted heating panel over the treatment couch. Far infrared heating has its own health benefits, including boosting circulation and detoxifying your body. We offer a variety of treatments including multiple forms of massage, medical herbalism, reiki, polarity therapy, hypnotherapy and counselling. We also have a number of different counsellors who offer a variety of different types of counselling including couple counselling, person centered counselling and psychodynamic counselling. To find out more see our counselling page. 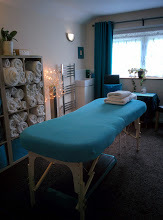 The massage treatments on offer include aromatherapy massage, therapeutic massage, swedish massage, sports and remedial massage, cancer care massage and pregnancy massage. We believe it is important to involve each person in their journey to health, helping people to feel empowered and supported. Every person has the right to integrated healthcare, and we promote working in partnership with GP’s and other healthcare providers. We are passionate about our work and believe that these safe measured therapies can help bring the body and mind back into appropriate balance. There is on street parking close by and a mobility parking space can be made available at the front of the building by prior arrangement. Beech Tree Clinic, 107 East Princes Street, Helensburgh, G84 7DN. Bookings by appointment with therapist only.